Ducks are usually harmless, sometimes amusing, waterfowl. But there must be something in the water causing these prey animals to become bellicose. While they don't have the attack abilities of a raptor, they are still able to fly, float and walk, giving them access to nearly all terrains. 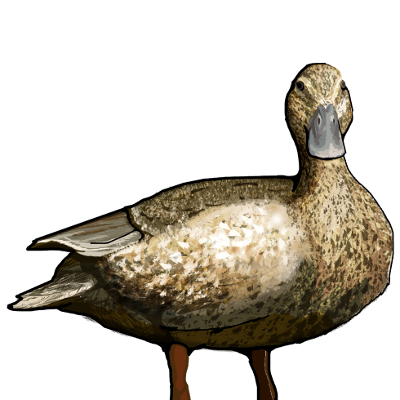 They also have a lot of bodyfat, making them somewhat resistant to cold.These ducks are too large and slow to weave around the enemy anymore, but their abnormal size (for a duck) means they are much stronger.